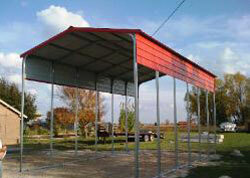 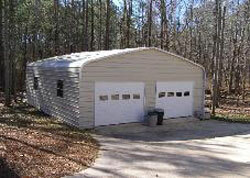 Waldrop Manufacturing offers metal buildings and carports in a very wide variety of sizes and options. 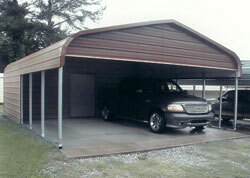 However, you have two basic styles of metal buildings and carports from which to choose. 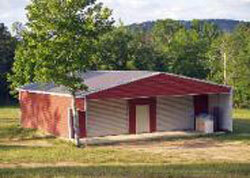 Classic Style: The Classic style metal building has sides that appear to be rounded. 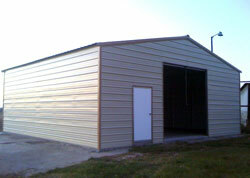 Contemporary Style: The Contemporary style of metal building has sides that are a bit more squared off and sharp. 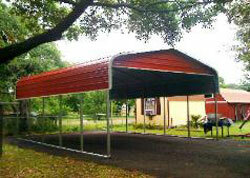 To illustrate, below are some pictures comparing the Classic and Contemporary metal buildings and carports.